New and exclusive GAF shingle Elite Contractor in Southington, offering full lifetime warranty! We provide dozens of styles, colors, textures and manufacturers. Shingles from 25-yr to lifetime warranty! Your roof is your home’s first defense from the elements. Faulty installation of the roofing system, especially in “prone” areas such as at sidewalls, around chimneys, in valleys, and around vent pipes and skylights, can lead to severe interior damages and expensive repairs. A new roof is an investment to your home, and as with any major investment, you’ll want to be assured that your money is well spent. 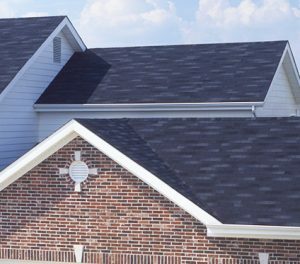 Roofing is a relatively easy trade to get into with little or no experience, so choosing a roofing contractor like City Roofing and Siding, with the proper equipment, insurances, experience and skills is very important. Over our nearly 60 years in business, be assured that we have performed work like yours. Cleanliness, safety, professionalism, and respect of your property throughout the job is key. We will describe exactly how any specific areas of concern will be handled such as protecting landscaping, painted surfaces, decks, walkways and driveways to prevent potential damages. In addition, we will assure that the products being installed are suitable to your needs. 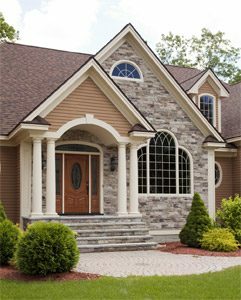 Your selection of color and style should compliment your specific style of home, and, most importantly, will be installed properly. We will explain to you in detail the specific terms of the product warranty and installation techniques as recommended by the manufacturer, and most importantly, as per the regulations of local building codes. Contact us to request a free quote for a new roof! Scheduling a roof installation can vary based upon many factors, most often weather. A reputable contractor will be busy, but should be able to complete your work in a timely manner. At the time the contract for the work is signed with our company, a tentative start and finish date should be set. As the agreed to start date nears, personal contact informing you of the exact start date will be made a few days in advance of any material delivery or work being started. If any deviation from the agreed to schedule should be required, personal contact will also be made. Should weather be an issue while your job is in progress, your property is left in a safe and secure manner, and our employees will return to your job as soon as weather conditions allow. Contact us to receive a free quote.